Franco hasn’t been to a children’s museum that he didn’t love. As an adult, I’d have to say the same. Every children’s museum we’ve been to has been great. 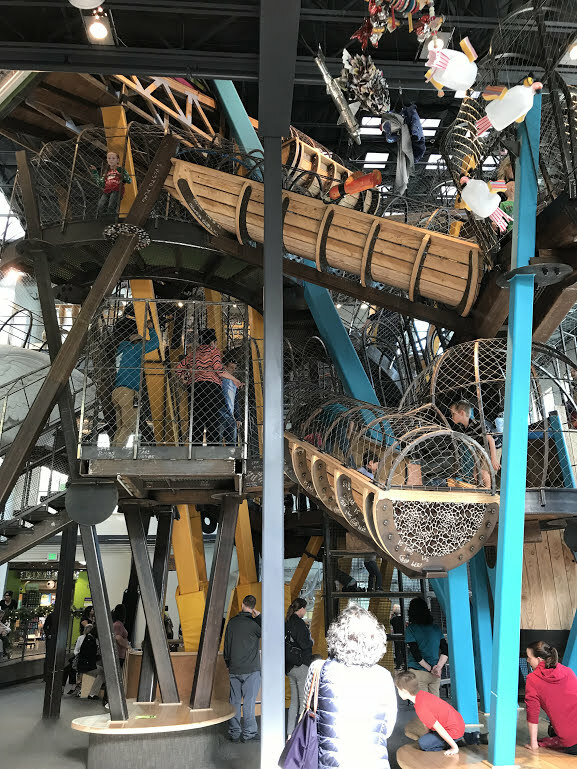 We were in Phoenix this past Christmas, and the Children’s Museum of Phoenix was no exception. I wish I’d taken more pictures of the exhibits and the wonderful outdoor play area and garden. 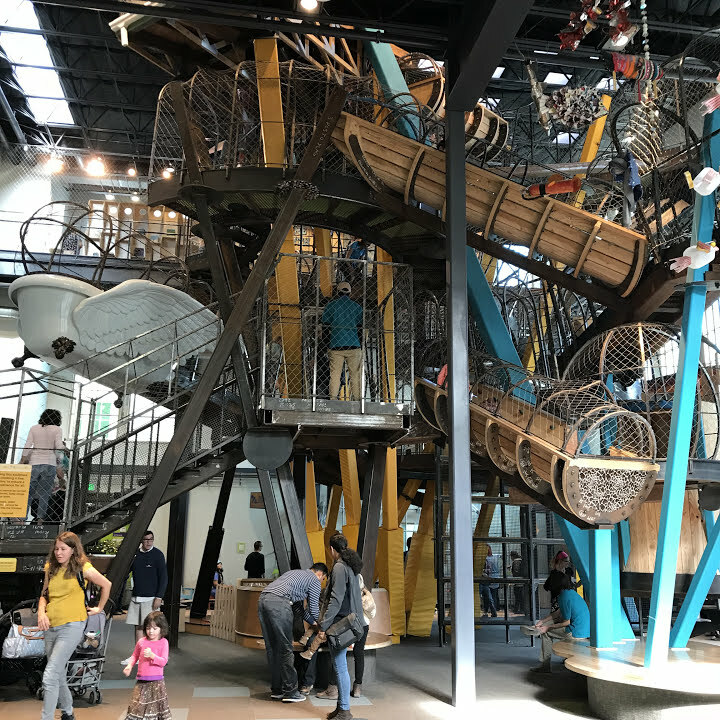 Alas, I didn’t, but check out this climbing tower! It encourages children to take risks and develops spatial relationships, memory, and perspective. 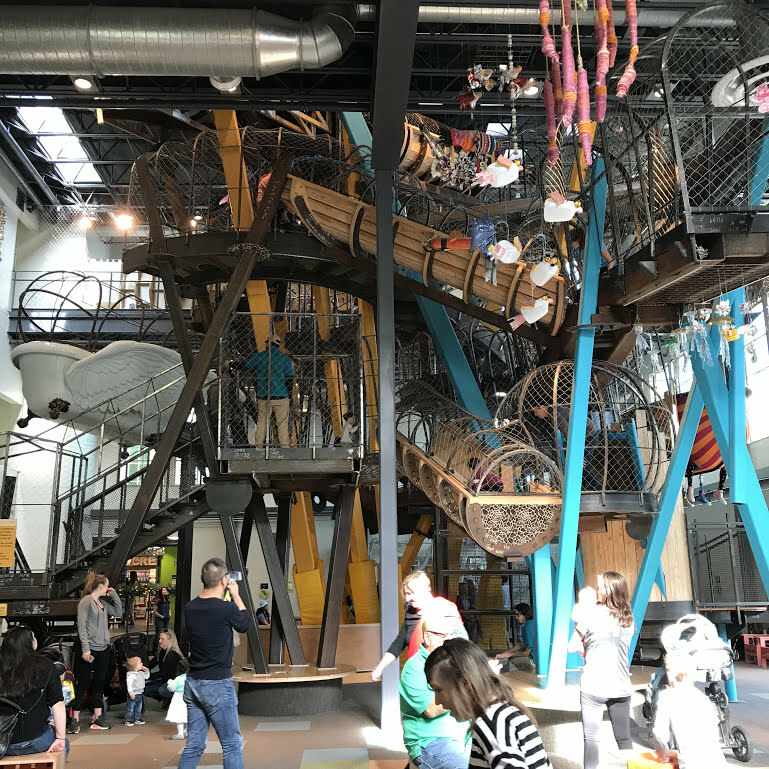 The Children’s Museum in Boston has a pretty great climbing structure but nothing as whimsical as this! A flying bathtub?! How fun!